In recent years, we’ve seen a meteoric rise in the popularity of ‘designer dogs’. The breed that started it all, back in the 1980s, was the Labradoodle – a cross between a Poodle and a Labrador. Opinions are split on whether these kind of mixes are recommended, but one thing in undeniable – the Poodle is a beautiful, clever and effortlessly elegant dog. This is reflected in the more famous Poodle owners of recent times, which include Grace Kelly, Elizabeth Taylor and Natalie Wood – you’ll be hard pressed to find a more sophisticated roll call. Another advantage of the Poodle is that it’s a hypo-allergenic breed, meaning, it doesn’t shed. This has led to it being crossed with breeds usually used as service and guide dogs, such as the Labrador and Golden Retriever, in order to create a hypo-allergenic dog with natural service and guide dog tendencies. It is important to note though that there is no way to confidently predict the characteristics of a mixed-breed dog. Therefore, simply mixing a Poodle with a Golden Retriever will not insure the dog doesn’t shed, or makes a good working dog. There seems to be an inexhaustible list of possible, and often rather strange, Poodle crosses, though some are more common than others. 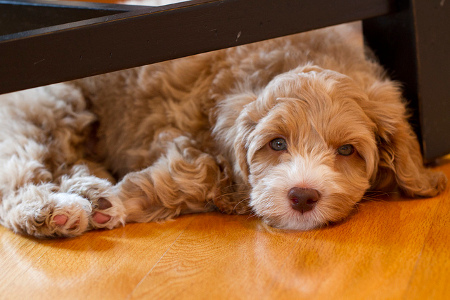 Labradoodle – as mentioned, this is the original ‘designer’ breed. While it’s not actually the first cross breed to be developed, it was this cute name that started the craze for creating mixed-breeds with specific requirements in mind. This is also the most common type of designer cross breed, which isn’t surprising, as Labradors are extremely popular in the UK, as well as around the world. There is evidence of the Labrador-Poodle cross being since the 50s, but the name Labradoodle was first coined by Australian breeder Wally Conron in 1988, when he bred one to help a blind woman whose husband was allergic to most guide dog breeds. It soon became popular with dog owners, including the rich and famous – Jennifer Aniston, Elle Macpherson and Graham Norton are all Labradoodle owners. Cockapoo – This was actually the first designer cross breed to be developed, back in 1950s America, though its popularity has soared in recent years. A cross between a Poodle and a Cocker Spaniel, breeders of this dog hope to combine the friendly and playful nature of the Cocker Spaniel, with the aptitude of the Poodle. Even though, as stated, the particular characteristics of a cross breed cannot be predetermined, these dogs do make for truly delightful companions. 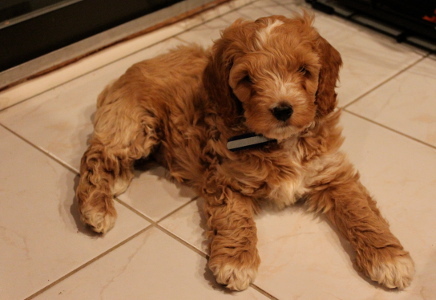 That said, both parent breeds are prone to knee and eye problems, and so a Cockapoo puppy has a strong chance of suffering from these issues as well. 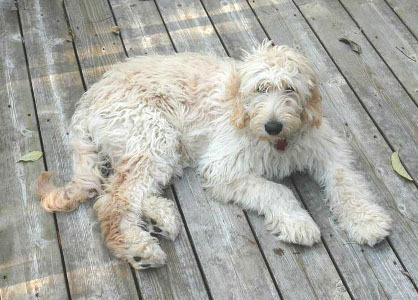 Goldendoodle – A cross between a Poodle and a Golden Retriever, this cross breed was first developed in the 1990s in both North America and Australia. Like the Labradoodle, the Goldendoodle was also created to act as a hypoallergenic service, guide and therapy dog – combining the intelligence of Poodle with the trainability of the Golden Retriever. Typically smart, sweet and playful, this cross breed makes a great companion, as well as a fantastic guide and therapy dog, and their trainability and love of human company makes them great with children. 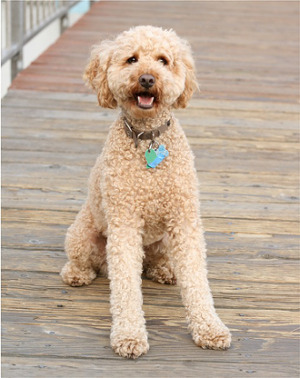 Both parent breeds are prone to hip dysplasia (a knee joint condition) and so the Goldendoodle is as well. Maltipoo – a cross between a toy or miniature Poodle and a Maltese, these tiny dogs tend to be affectionate and playful. Their size means they are suitable for apartment living, and the combination of these two parent breeds usually creates affectionate, gentle pooches who make great therapy dogs. 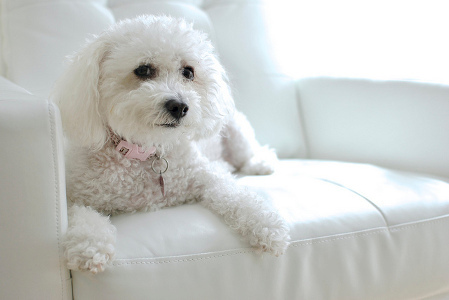 Both Poodles and Maltese dogs are non-shedders and so are considered hypoallergenic. This means a Maltipoo puppy is very likely to be hypoallergenic as well, though this can never be guaranteed. As both parent breeds are active and highly trainable, Maltipoo puppies have a tendency to be the same. They are usually sociable and do not like to be left alone for long periods of time so, while they are suitable for living in both houses and flats, they need owners who are able and willing to shower them with attention. 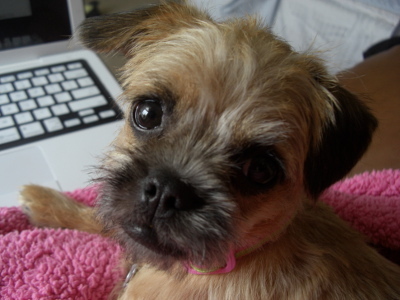 Pugapoo – the Pug is a universally popular breed, and Pug crosses are a great way to own a dog that displays some of the characteristics of a Pug, with typically fewer health issues (as they tend to have less squashed noses and bulging eyes – the main causes of health concerns in pedigree Pugs). That said, Pugapoos come in a wide variety of appearances, and can be either smooth, like a Pug, or very shaggy, like a Poodle. As mentioned, there is no way to guarantee a puppy will look more like one parent breed. Additionally, Poodles tend to be active dogs, whereas Pugs are more laid back, and so a Pugapoo puppy can display behaviour similar to either. One thing that can be guaranteed though is that, with correct breeding and the right owner, these little dogs make excellent, cuddly lap dogs. Schnoodle – While all of the names for these cross breeds are excellent, this has got to be the best one! 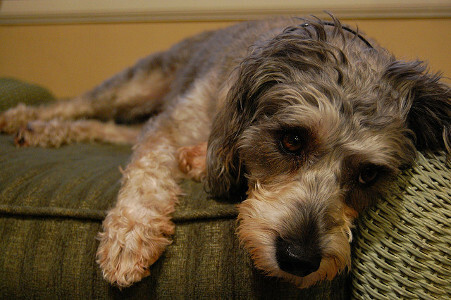 But that’s not even the best thing about this Poodle/Schnauzer cross – Schnauzers are known for their friendly personality and are also intelligent and protective, combined with the natural intelligence and trainability of the Poodle, this makes for one clever, and extremely adorable, pup! Like all other cross breeds on this list, the Schnoodle is not recognised as an official breed, but some kennel clubs do accept it for registrations for performance events such as agility and obedience, which Schnoodles tend to excel at. The important thing to remember is it is highly recommended to only deal with respectable, reputable breeders, who perform health checks for the parents and their pups, and treat all the dogs as they are meant to be treated – as life-long friends, not property. Crucially, any breeder who tells you they can guarantee certain traits in the puppy is strictly to be avoided. Many people do not know this, but you can also find hybrid, ‘designer’, dogs in shelters, if you're willing to do your research as many unfortunately go unwanted. So, whatever choice you make in terms of breed, make sure it’s a happy one, all round.